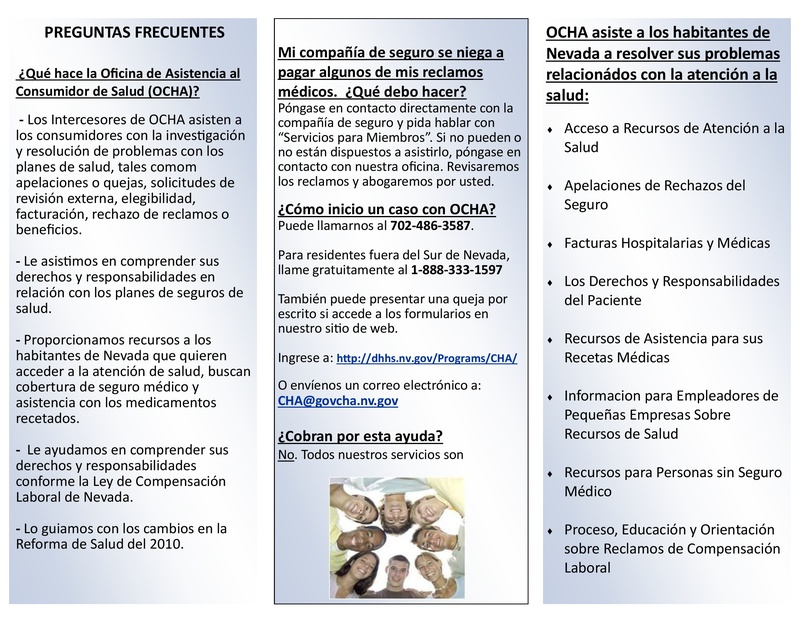 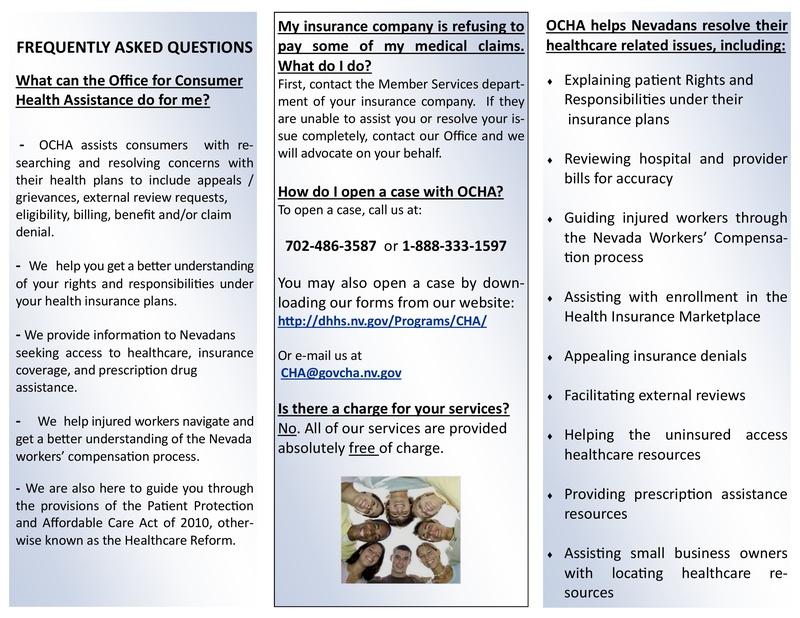 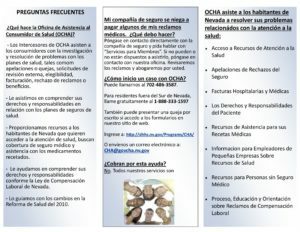 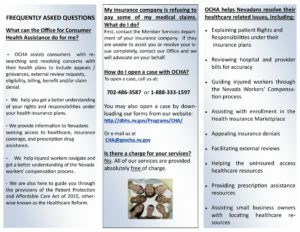 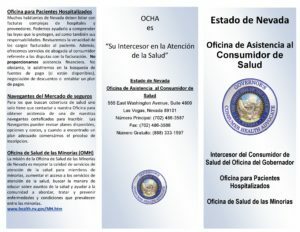 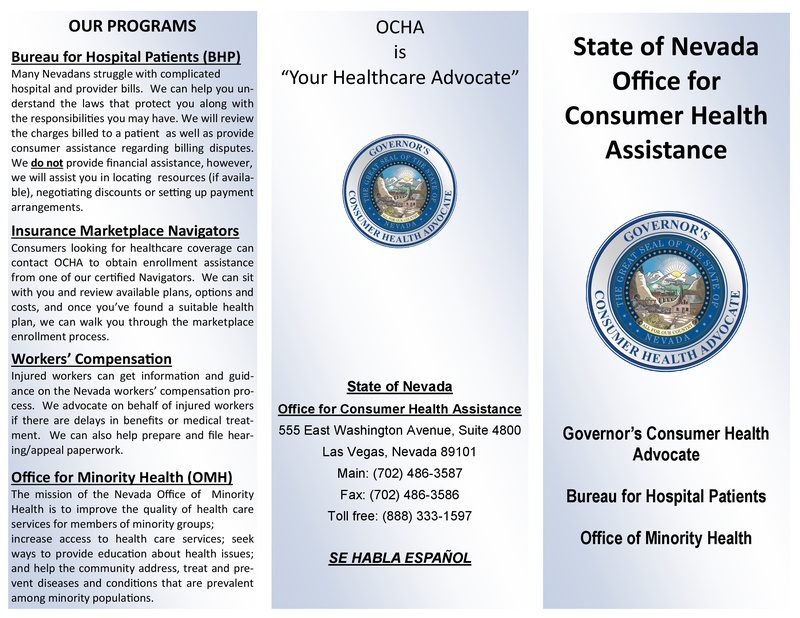 State of Nevada OCHA offers several programs to assist Nevadans in understanding, researching and resolving their healthcare issues. 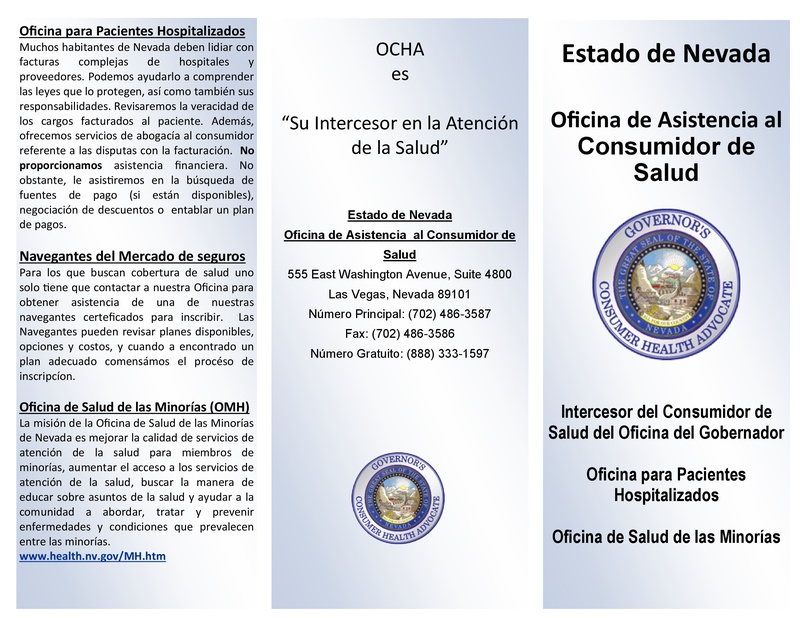 More information concerning their programs is available in the brochure, which is also available in Spanish. 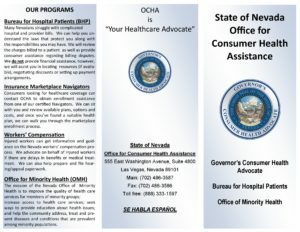 The Bureau for Hospital Patients (BHP) can help you understand laws and responsibilities concerning healthcare and can review charges billed or provide assistance with billing disputes.